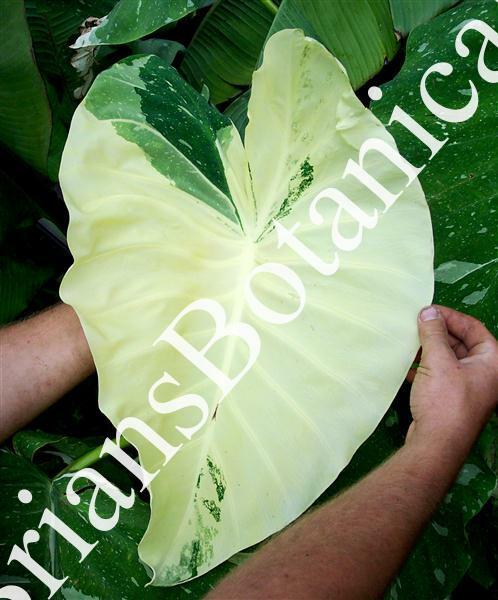 Colocasia Elepaio is a Hawaiian hybrid with white spots and blotches on the leaves. This plant has white streaks down the stems. It can take full sun and is a clumping form. This plant is great for contrasting with darker Colocasias. Plants are well rooted in 4 inch pots and.